Litum RFID vehicle identification system reduces man hours, costs, and prevents unwanted entry with automated recognition. Our passive RFID readers, antennas, windshield tags are paired with a flexible AVI software system that can automate gate entry, control access to facilities, and record entry information. 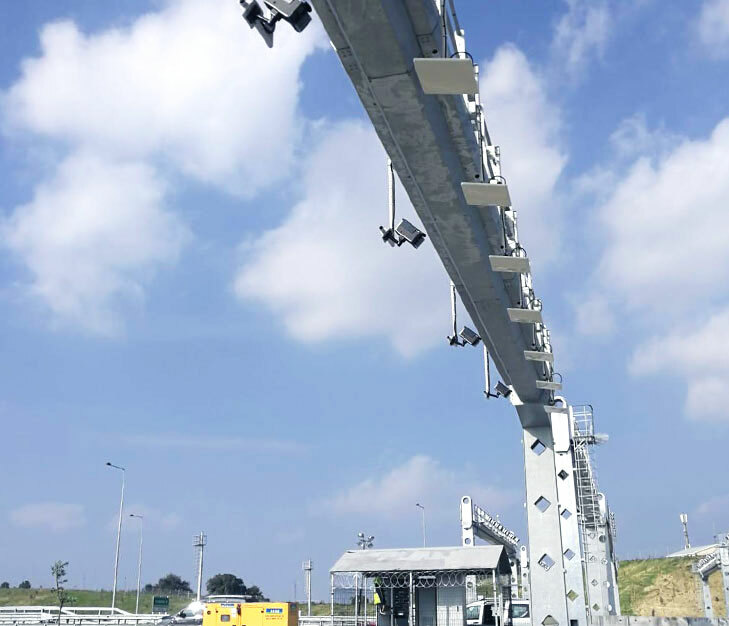 Our technology is useful in a number of applications, such as: electronic toll collection (ETC), insurance and emissions enforcement, parking lots, truck management, traffic monitoring, ground support vehicle tracking, car service/detailing, and electronic toll collection (ETC). Many businesses have employees whose sole purpose is tracking and logging vehicles at entry points to their facilities, toll roads, or even just to monitor the movement of vehicles on a busy tarmac. Manual record keeping and vehicle tracking is an outdated system that costs you money. Save on man hours and monitor vehicles more effectively through Litum’s RFID vehicle identification technologies. Our system is simple to implement and unobtrusive. An outdoor RFID reader with a linear RFID antenna placed over every entry gate. Our AVI software allows for automatic identification, control access, and check-in/checkout of vehicles. Our RFID vehicle identification system is also supported by APNR to pick out license plate numbers and record them as a secondary system to prevent violations. Companies, toll roads, and parking lots can automate revenue collection by our AVI system. When each vehicle tag is read, the software will check to see if the driver has an account with your company and deducts the toll or parking fee. No need to hire a booth attendant or bother with cash transactions. Everything is streamlined and nearly instantaneous. With the ability to instantly check every vehicle before it enters a parking area, the AVI system can prevent trespassing, illegal entry, and also protect company workers inside the building. With the APNR software system, you can also get important information about a suspect's vehicle to pass along to the authorities. Dock managers can see at a glance when new shipments arrive for unloading or empty trailers have arrived to be loaded. Our system provided comes with our full support and the best prices available in the market. We provide system design and complete set of products that are proven to give best performance in hundreds of installations worldwide. Litum's partners will work with you onsite to ensure proper installation of the system and complete mastery of it by your staff.